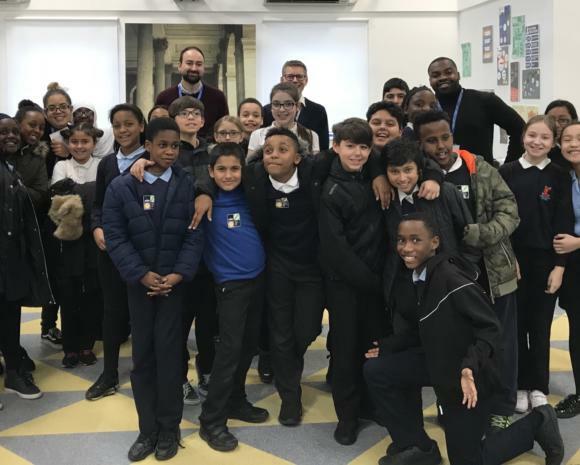 Ada is currently assisting two Haringey schools: Earlsmead Primary School and Welbourne Primary School, to more deeply integrate computing into their KS2 curriculum and to encourage their year 6 pupils to develop their digital literacy and computer science skills. At Earlsmead Primary School, Year 12 student Alex and myself helped deliver a robotics workshop to Year 6 pupils. We used an educational development kit from SAM Labs (whom we have been working with) that enabled groups of pupils to build their own robot cars. Once constructed, groups were shown how to program their cars to race against each other. The pupils thoroughly enjoyed the session and they and their class teacher were very grateful to Alex for his expert advice and assistance in using the development kit and associated software. 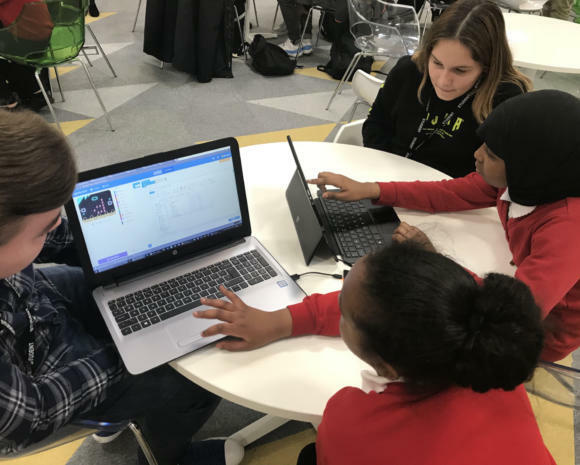 As a follow-up to the workshop we hosted a group of Year 6 pupils at Ada where our Year 12 students introduced them to a variety of computer coding applications and hardware kits. The pupils welcomed the experience of using the various hardware and software and having the opportunity to talk with our Year 12 students. They were especially keen to ask our students about possible future careers in the computing sector and several were interested in finding out more about possible careers as computer game developers and website designers and several stated they would like to study at Ada when they are older. 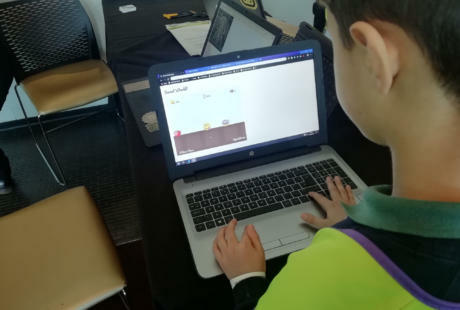 Year 6 students from Welbourne Primary School have also visited us at Ada where they participated in a learning carousel of bite-sized workshops on: website design with HTML, Python coding using Turtle Graphics, Micro:Bit physical computing and SAM Labs development. All workshops were organised and led by a group of our Year 12 students. 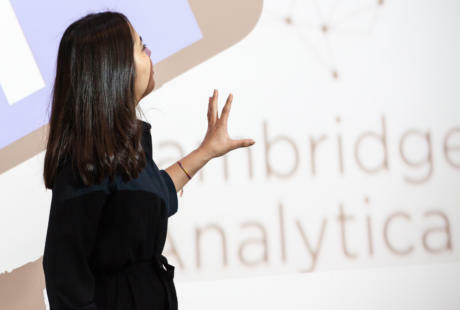 More recently, Computer Science teacher Neelu and myself took four of our Year 12 students to Welbourne where they gave a talk on cyber security and ran a further series of active hands-on workshops with the school’s Year 6 Digital Leaders. 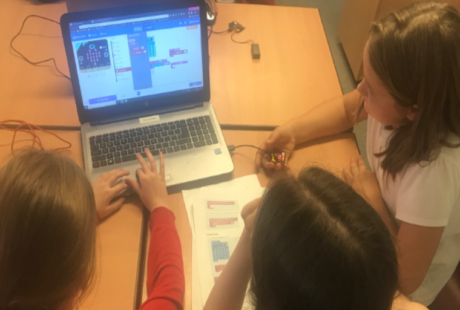 These highly successful sessions have reinforced our view that having our Year 12 students deliver hands-on computing workshops to primary pupils at KS2/KS3 transition plays an important part in demystifying computer science and in helping to increase its accessibility to all. Additionally, as well as the benefits to the primary pupils themselves we feel these collaborations are of great benefit to our students. 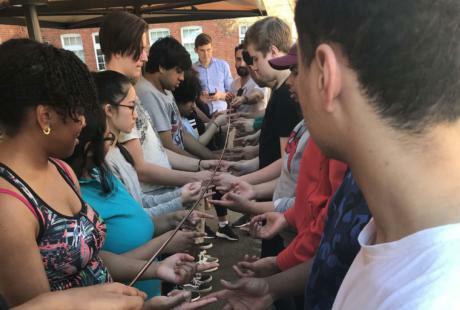 The delivery of the workshops greatly increases the confidence of those students involved, helping each to gain a deeper understanding of the technologies they showcase. In constructing and delivering the workshops our students also develop their communication, collaboration and organisational skills. All in all, a win-win situation for both our partner schools and the college and we very much look forward to developing and expanding these collaborations.